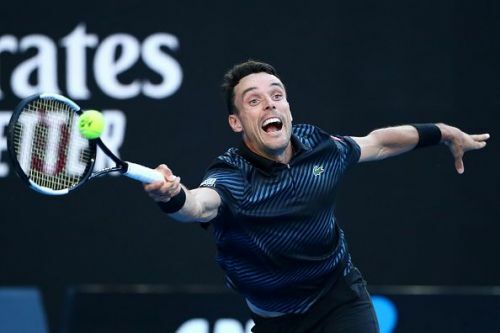 The twenty-second seed Roberto Baustista Agut has continued his rich vein of form in securing his ninth straight win on the ATP circuit on his way to the quarterfinals of the Australian Open 2019. His opponent in the match will be the twenty-year-old Stefanos Tsitsipas who is coming off the biggest victory of his nascent career yet. The thirty-year-old Spanish veteran came to the Australian Open on the back of an impressive show at the Qatar Open where he clinched his ninth career title. And his journey in the Australian Open has been nothing short of exhilarating. He has had to play three five-setters against Andy Murray, John Millman and Marin Cilic. The only match of his that did not go to a fifth set was against the world number ten Karen Khachanov. The long hours he has spent on court in this tournament coupled with the five matches he played in Doha before coming to the Australian Open could mean that he would certainly go into the quarter final match with a few niggles. But he has shown over and over in his career, he is nothing if not a fighter. He does not possess any big weapons, but he is a supremely fit athlete who hustles down the court and seems to possess endless energy as has been amply showcased in his multiple five-set victories in this tournament. 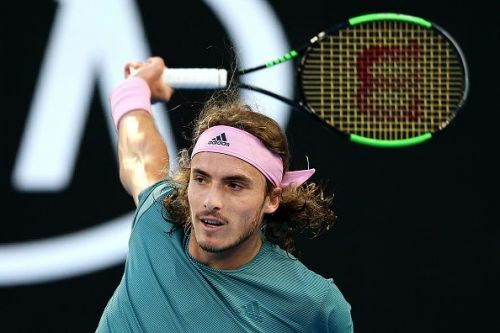 His opponent in the quarterfinal match, Stefanos Tsitsipas is the toast of the tennis world after his shock victory over the two-time defending champion Roger Federer. The twenty-year-old next gen star seems to have modeled his game on the legend whom he vanquished in the previous round. He is that rare modern day tennis player who has a beautiful one-handed backhand. Also, unlike many of his contemporaries, he loves to serve and volley. For a tall guy, he is incredibly fast on the court. He has all the makings of a future tennis superstar and a potential multiple grand slam champion. Apart from his array of unbelievable strokes, what he also has going for him, is a cool temperament and the ability to not get overawed on the biggest of stages. Against Federer, he played an aggressive brand of tennis and never let the Swiss maestro dictate the game. He is expected to follow the same template against Agut as well. But Agut will present a very different kind of challenge to the young man. He is a retriever, and the constant retrieving of balls that could be winners against most other players, could frustrate the young man. After the incredible high of getting past his idol, Tsitsipas may be high on confidence, but he will have to be ready for the long haul against Agut who seems to be thriving in those kinds of matches.